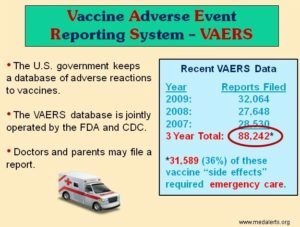 This article here explains all about the Vaccine Adverse Events Reporting System, controlled by the CDC. 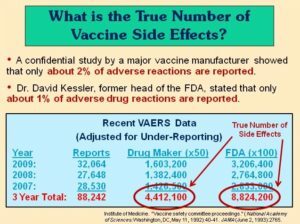 This video here, narrated by Rob Schneider and featured in “Vaxxed,” will tell you everything you’d want to know about VAERS and Vaccine Court in under 5 minutes. 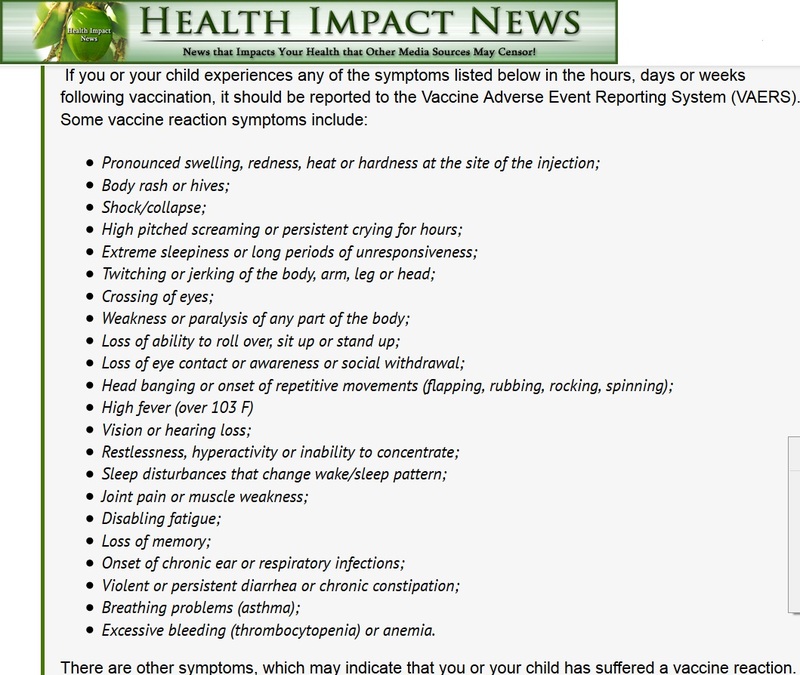 Anyone can report their own or their child’s reaction, you do not require written proof from the doctor. There is no time limit. Three years? Five years? Ten years? You can still report it. However, there are limitations on suing for compensation, 2 years for death and 3 years for injury. 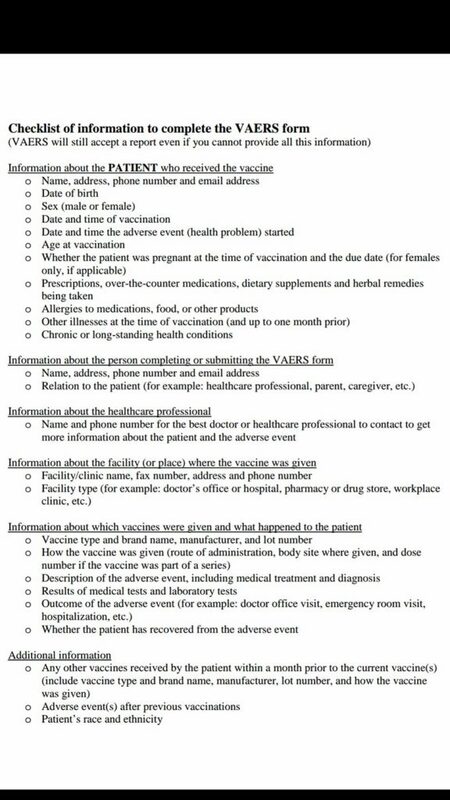 Lot number, brand and date of the vaccine(s) that caused the reaction(s), which can be obtained by calling the office that gave the vaccine. They office assistant should be able to provide it quickly over the phone. 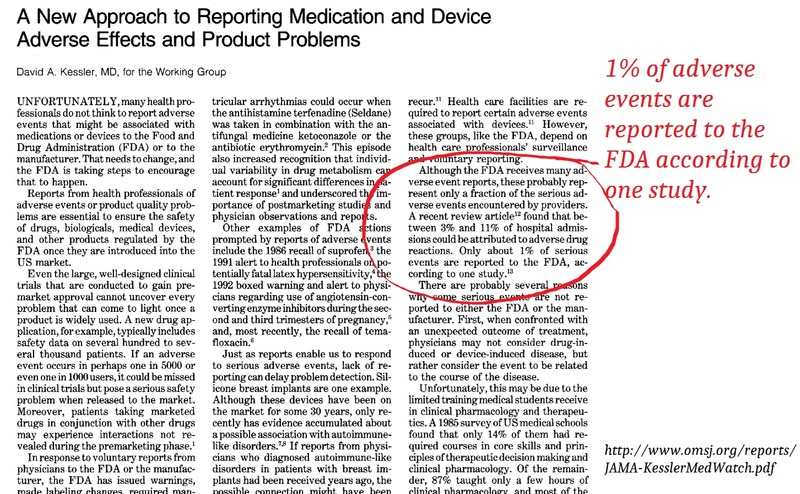 You CAN submit a report even with missing information, though they will request it.